Hanna Indústria Mecânica – In the sixties, the automotive industry invested heavily in Brazil, and Hanna Tools started the production of special tools dedicated to super-finish brake cylinders: the roller burnishing technology. 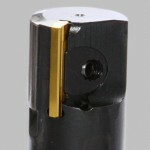 Including made-to-order indexable reamers and solid carbide reamers. Today, with 180 collaborators, mainly engineers, technicians and skilled workers, Hanna has assured a great performance with high technology tools, with worldwide presence and ISO 9001 Certification. Hanna products are present in Argentina, Canada, Chile, France, Germany, Italy, Korea, Mexico, Switzerland, Sweden, USA, Venezuela. 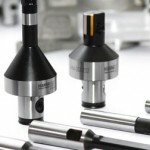 In order to maintain its edge in the field of high tech tools, Hanna invests continuously in human resources, state of art equipment and research, searching for its consolidation in the global market. Catalogues. 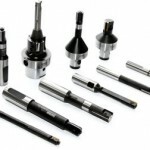 Bar-Tech Enterprises Ltd. is honoured to be the North American importer for Hanna Tools.